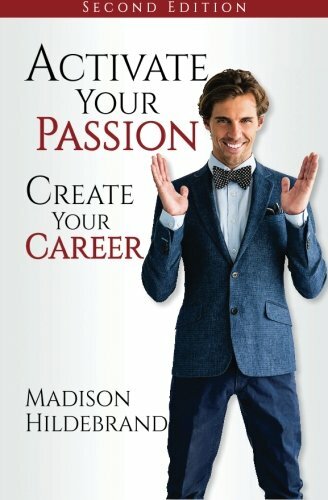 Madison Hildebrand, President, and Founder of The Malibu Life, Inc., is one of the most recognizable faces in the world of real estate. Working full time as a Realtor, Hildebrand has directly represented nearly $1 Billion of real estate throughout Los Angeles since 2006; comprising of nearly 450 transactions he has successfully negotiated some of the most difficult, creative, emotional, unique and discretionary deals in the industry - all the while maintaining an impeccable reputation with both his clients and colleagues (with over 51, five out of five, Zillow star-reviews). He acts as a founding member of Compass Malibu, the #1 independent real estate company in California. He is also recognized internationally as a top producing agent year after year, and has received accolades by The Hollywood Reporter, Variety Magazine, The Wall Street Journal, to name just a few, are the reasons he is one of the most sought after luxury agents in Los Angeles. Madison incorporated The Malibu Life, Inc., enlisting a team of 10 specialists who work together to make record transactions, exerting passion, professionalism, integrity, and uncanny industry knowledge. Madison’s ability to connect and communicate with a wide range of clientele is guided by his passion for travel and his experiences living in various countries, states and cities. Madison is all about education, expertise, and experience. With a Bachelor of Arts in Advertising from Pepperdine University, Madison decided to plant his roots in Malibu. Soon after graduating, Madison became a pillar within the community, involving himself in numerous organizations and charitable institutions. He regularly gives back as a volunteer within the community, serving his 3rd year as the Vice President of the Board of the Malibu Boys and Girls Club, a past Board Director of the Malibu Association of Realtors, an ambassador to GiveBack Homes and much more. Madison is also an acclaimed public speaker, social media influencer, author of the book Activate Your Passion, Create Your Career, and a product designer for a line of candles. His most recent accomplishments include his relationship as the exclusive Brand Ambassador for DocuSign, Inc. –- the global standard for digital transaction management, Leverage Global Partners, which brings global exposure and networking to boutique agencies across the world, and a mentor to many new agents in the industry. Whether it’s gardening, traveling, or hiking with his rescue Dobermans, Maya and Mr. Prince, Madison lives by his philosophies of “Spread the Love,” that “You can mix business with pleasure,” and his most important mantra of “Be a blessing, then be blessed.” Currently, Madison splits his time between his Malibu and West Hollywood homes, enjoying his wonderful life. He believes that 2019 with will be a year of growth and expansion for him, both personally and professionally. "I am dedicated to my business, the hustle, my clients, and my health, and find that living in balance is not only the best way to live but also the best way to be of service to those around me".